The official Japanese Twitter account for the NieR series has announced a new milestone for their latest game, NieR: Automata. The game’s physical shipments and digital sales have topped 3 million according to the account. It previously topped 2.5 million shipments and digital sales back in March of this year. 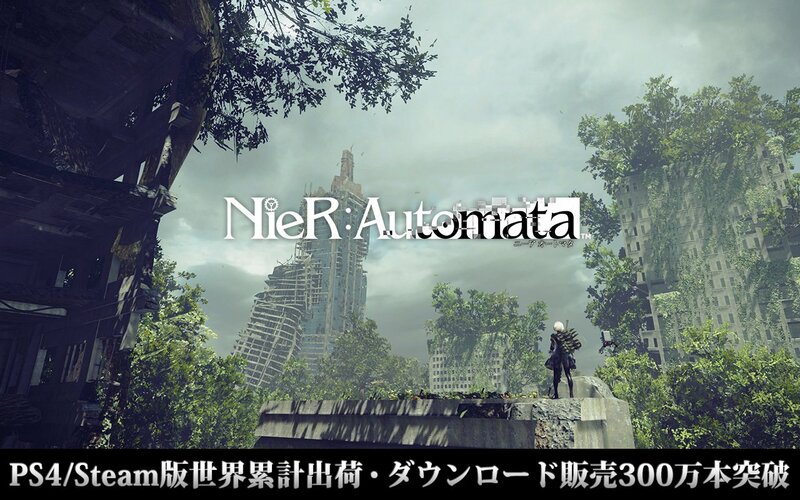 NieR: Automata released in February 2017 in Japan for the PlayStation 4 and worldwide for the PlayStation 4 and PC via Steam in March 2017. If you’re interested in the game and want to know more, you can check out what we thought of the game HERE.